I know, it’s not that striking a revelation but it’s the truth nonetheless. I really do hate it. I know I’m suppose to like it—it’s good for me, it’s full of fiber—but seriously I just don’t. It’s mushy and gross and tastes like pre-chewed cardboard. (I don’t know what pre-chewed cardboard tastes like, but if I had to imagine it, oatmeal is the closest thing I could think of). Unless this oatmeal is coming to me in cookie form with chocolate chips, I’m not interested. “But wait Victoria!” I hear you saying, and I know what you’re going to tell me. Try preparing it a different way—add apples, or cinnamon, or almonds, or Fruit Loops!! Trust me, I have tried preparing it 57 different ways (although probably not very healthy, the Fruit Loops option does sound intriguing) and I just can’t do it any more. Nothing tastes good. I have been choking it down in the morning for breakfast not because I want to, but because I feel like I have to and I say no more. NO MORE I SAY! Why do we do this to ourselves? Why do we insist on eating things that we hate just because they are good for us? It ends up not being healthy and in the long run certainly doesn’t aid in weight loss (if that’s what you’re aiming for). I’m miserable when I have to eat things I don’t enjoy (ex. cooked carrots and cantaloupe to name a couple) and I grow resentful that I can’t have what I want. All just for the sake of more nutrients and better health. I think you definitely see this come into play on a lot of diets that restrict foods. You’re not left with many alternatives and therefore forced to eat what is left on your food list, even if you don’t enjoy it. How could anyone possibly enjoy that? Are there foods you’re eating that you HATE but are consuming just because they are good for you or provide some sort of healthy benefit? Are there alternatives you could seek out? Share with me and leave a comment below! I had loads of foods I didn’t want to eat: oatmeal, rice, beef and many more. It was like that for years. But somehow my tastebuds changed and now I can’t stand fried food, but I love to eat loads of Curry with rice. Which wasn’t an option a year ago. 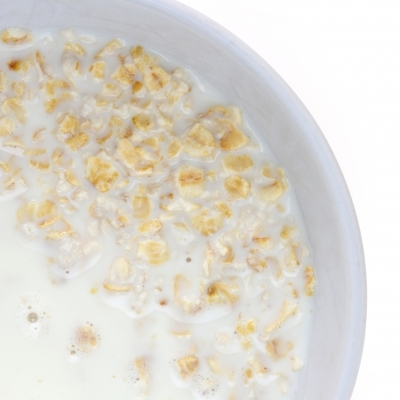 I eat oatmeal-based Müsli most of my mornings and I really enjoy it. But only if it’s from one special brand. But as long as I didn’t like it, I never tried to force myself to eat it. It just came about by accident because my boyfriend always lets me try his food. Now I found preparations for foods I didn’t like, which I truly love now. 🙂 It just cost me the ability to enjoy fried foods like fries but also junkfood like burgers. Avocado…the food that rots when you look at it! Tried it, didn’t like it, tried it again, still don’t like it…if you want me to eat it, bury it in something that I want to eat! I too hate oatmeal! Im getting….dare I say?…”older” and felt like I should start eating it…..Im over it!